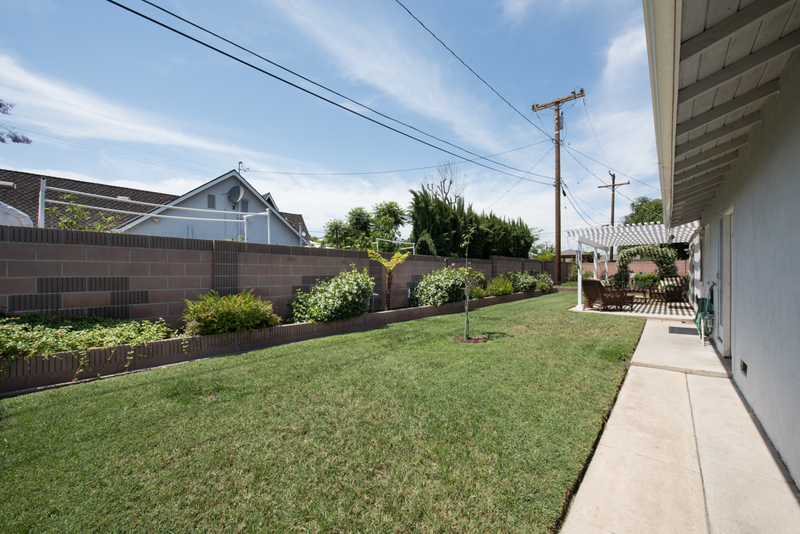 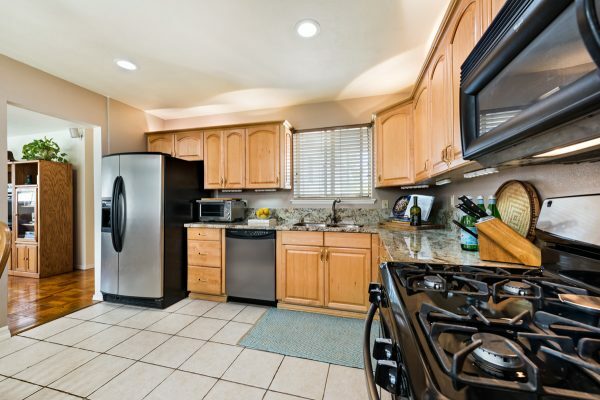 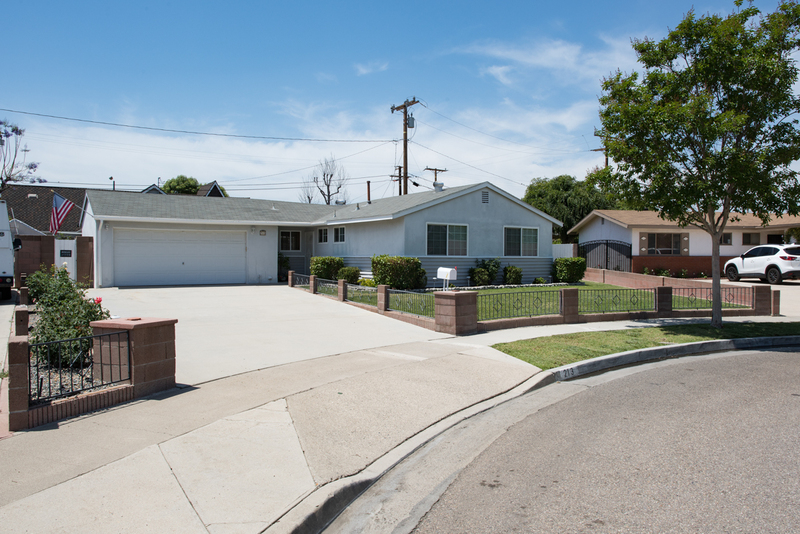 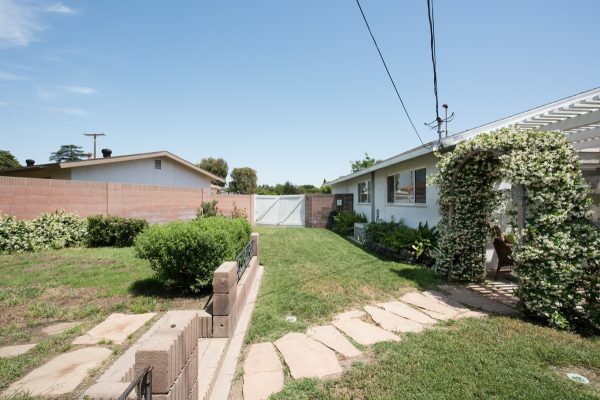 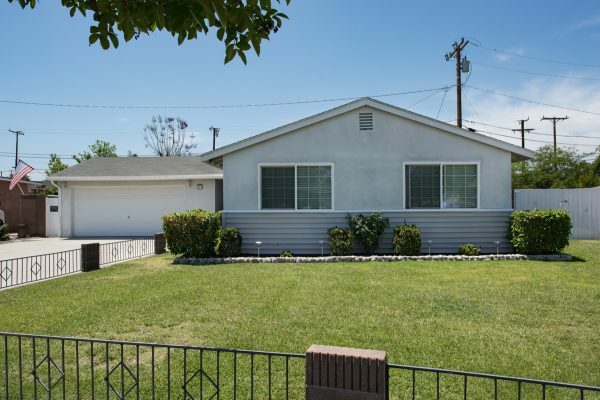 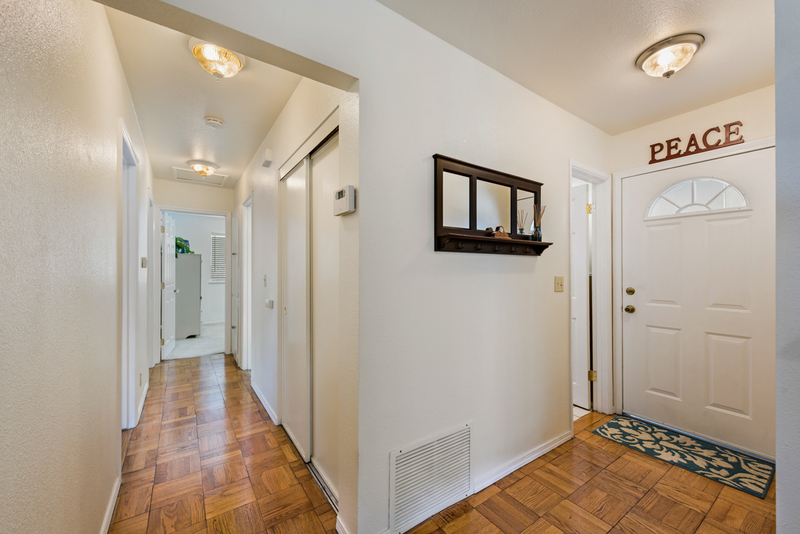 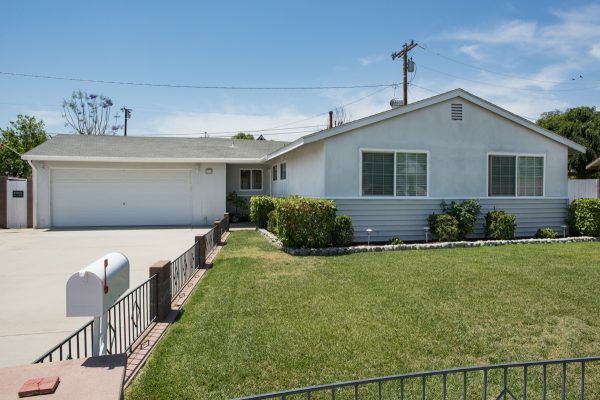 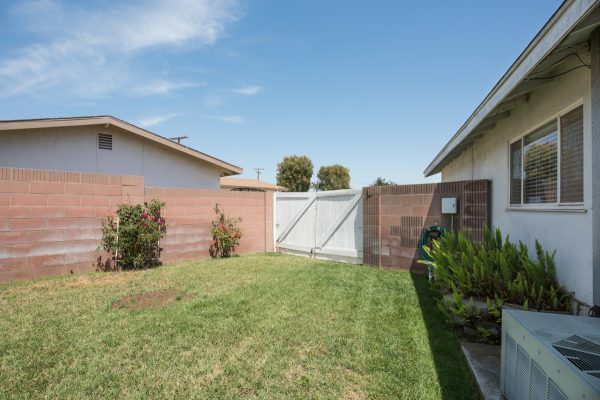 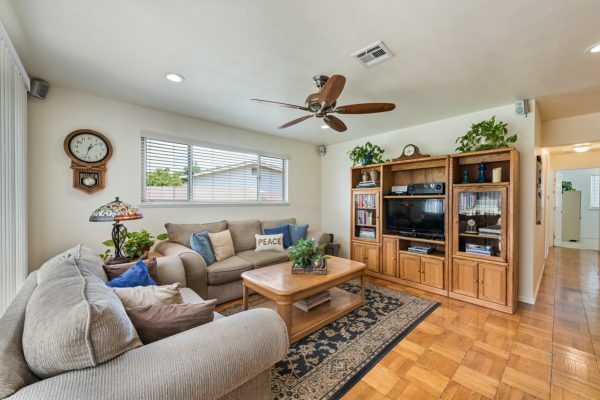 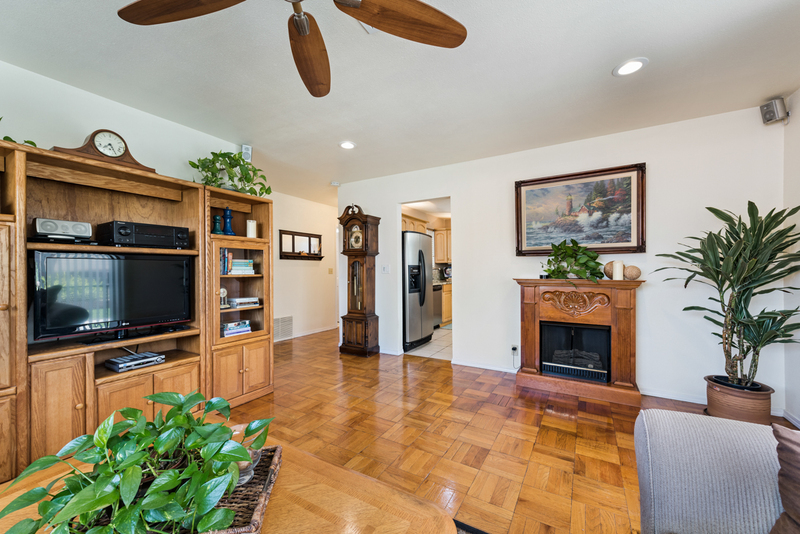 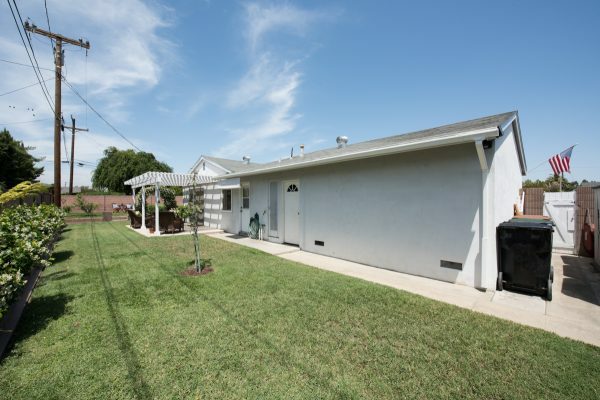 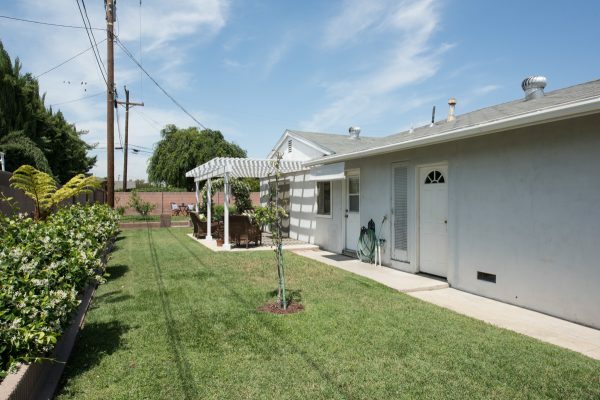 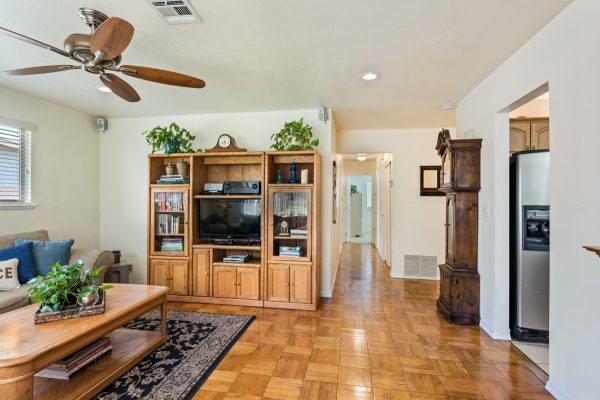 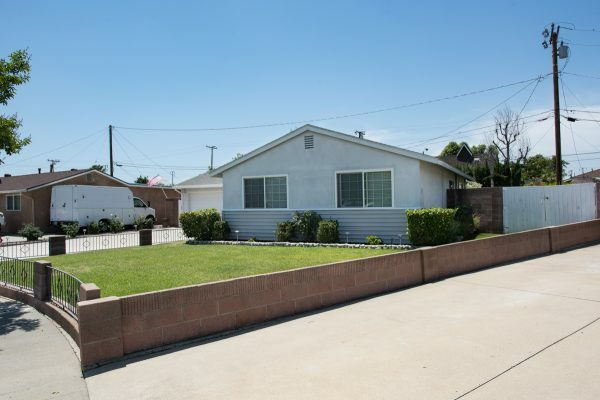 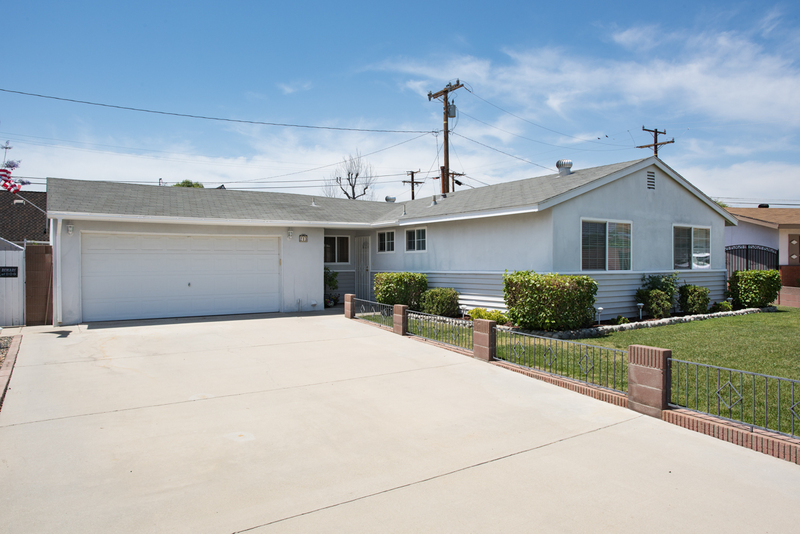 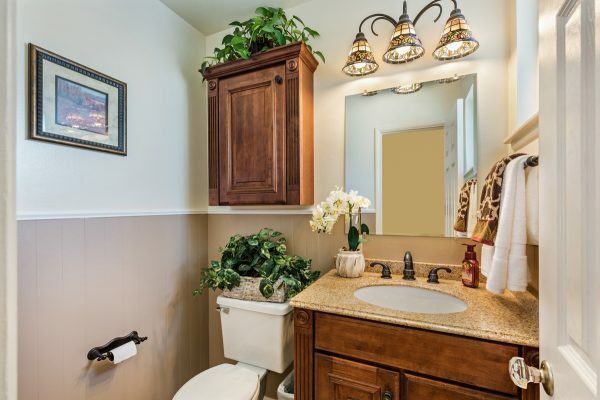 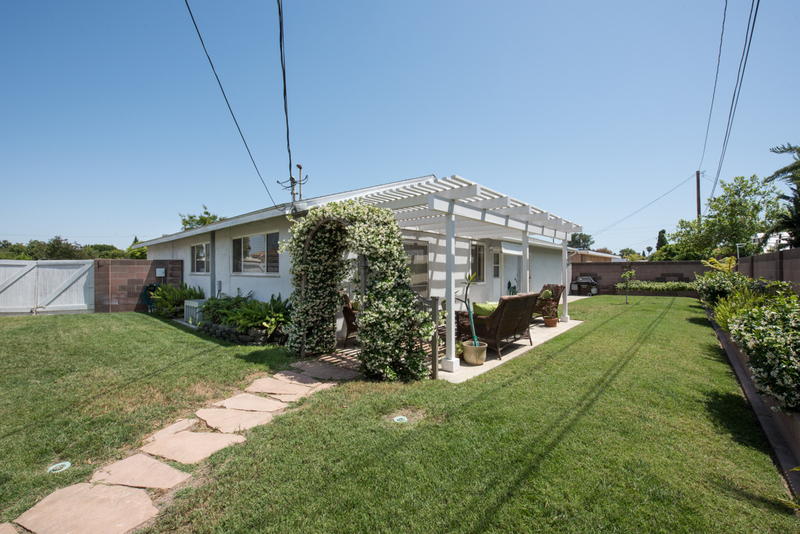 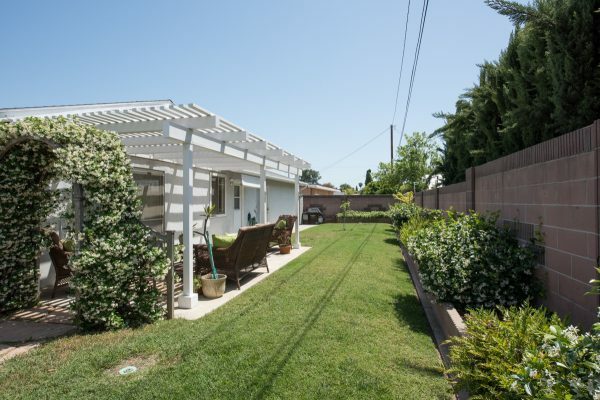 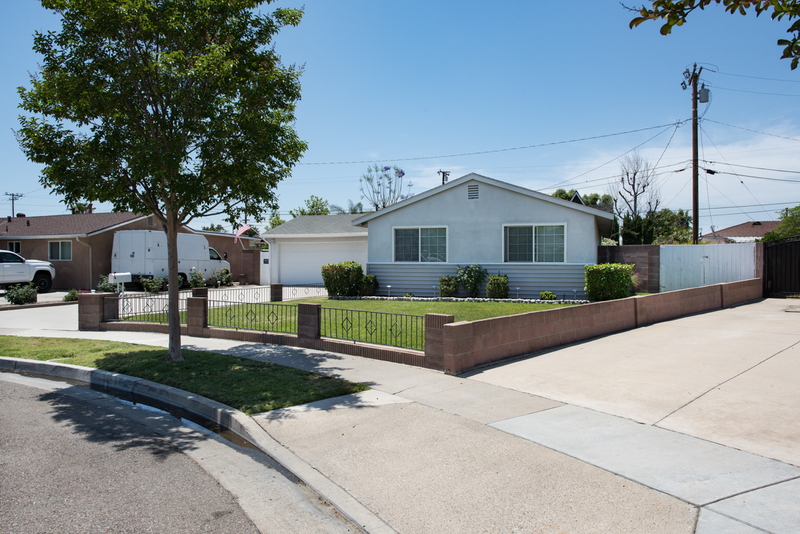 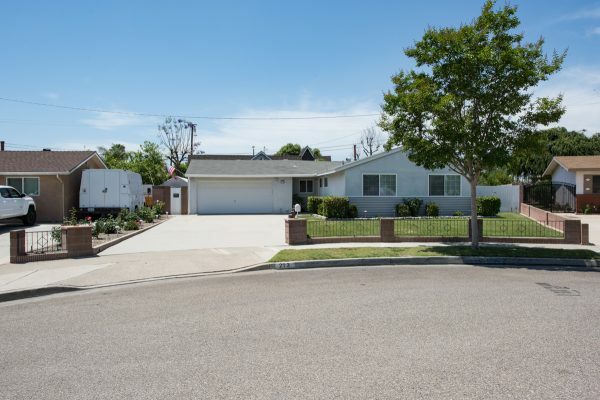 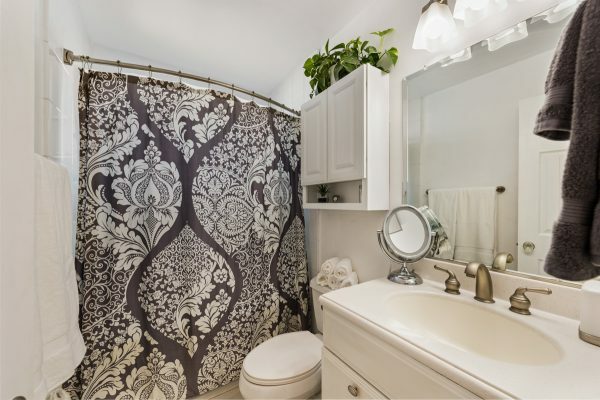 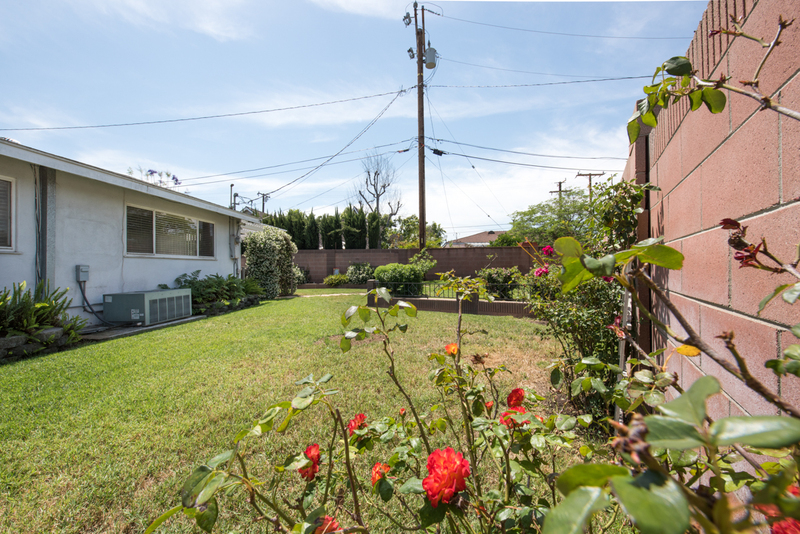 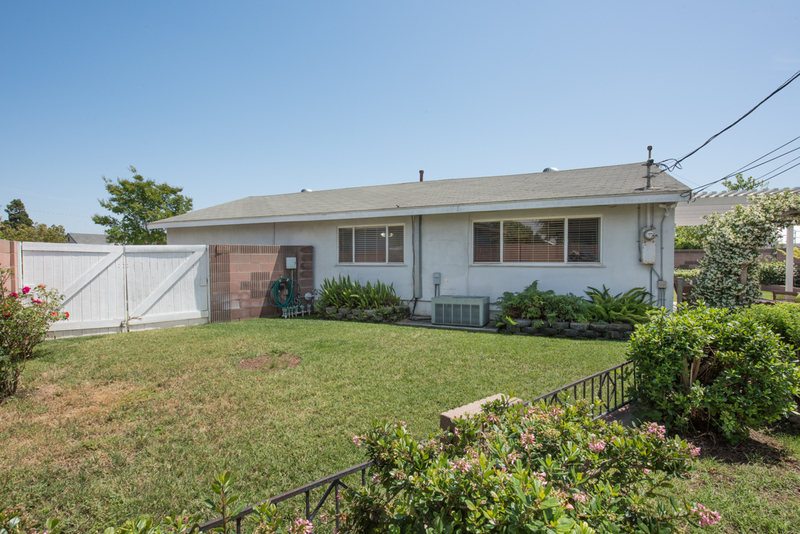 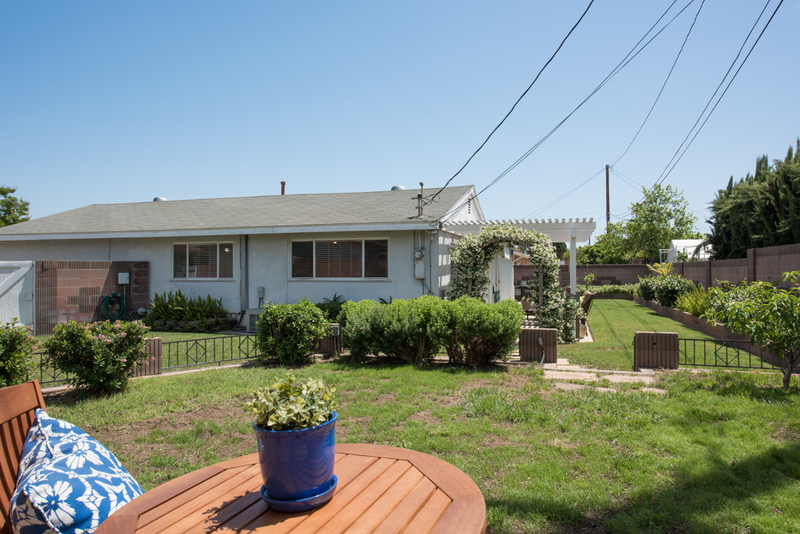 You will just love the quiet cul-de-sac location of this single level Fullerton home. The homes on the street are all well maintained and the neighbors wave to you as you pass by. 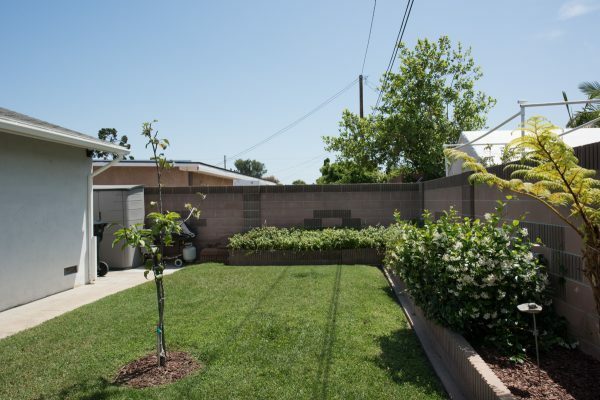 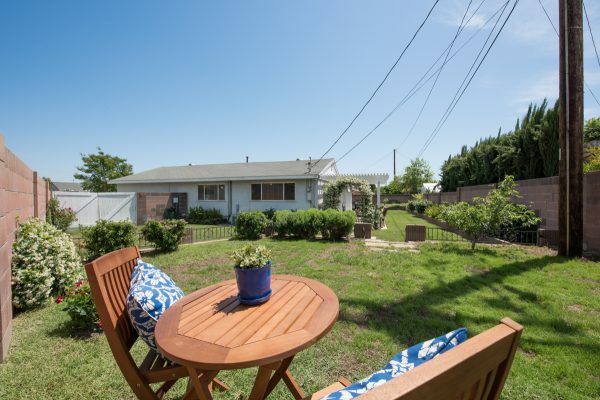 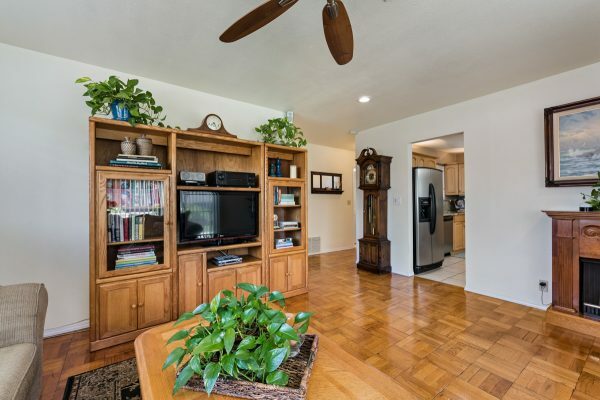 The pie shaped lot gives you lots of space in the back yard for gardening and entertaining. 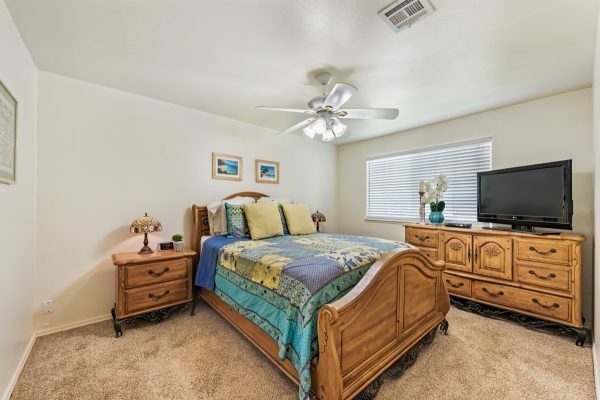 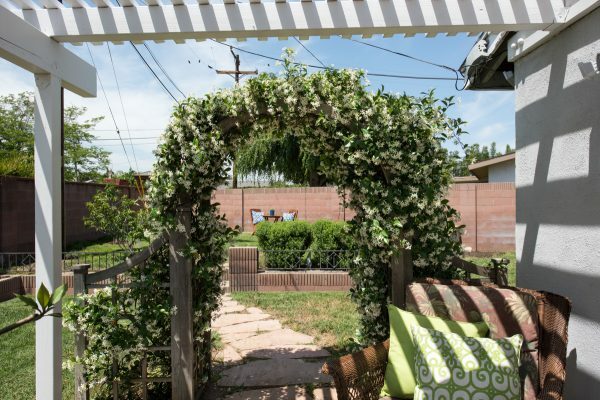 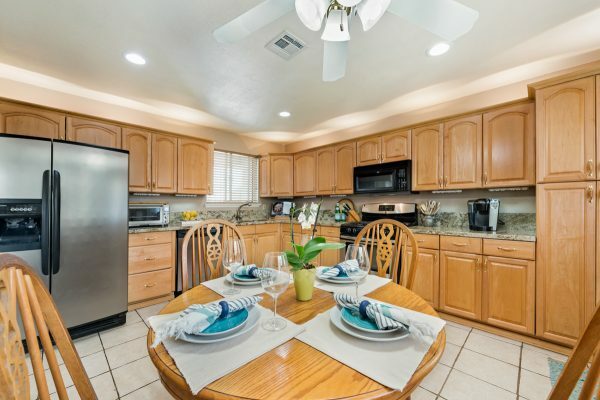 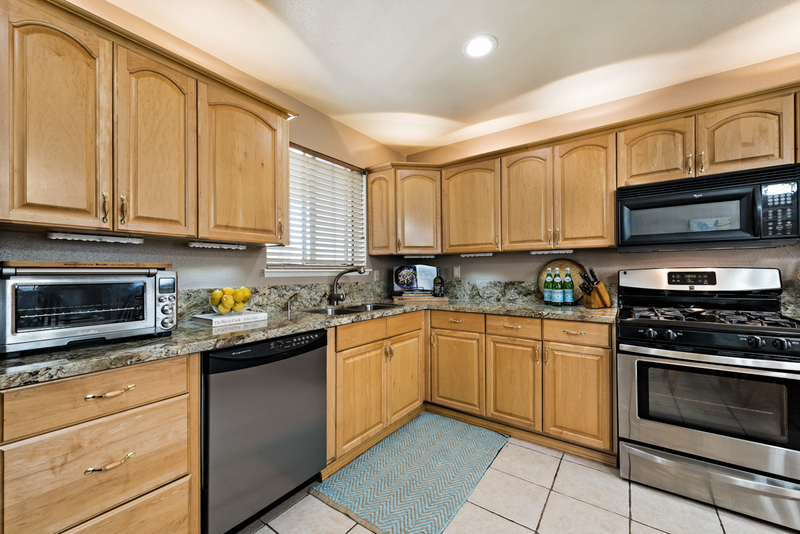 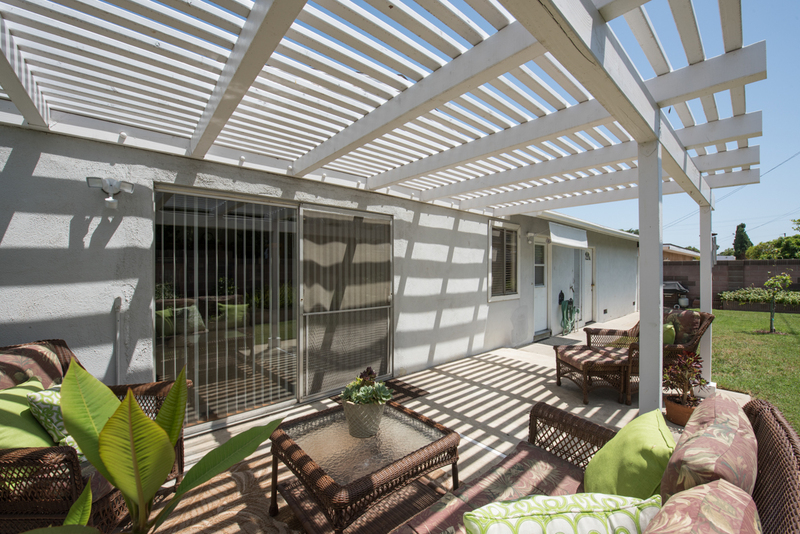 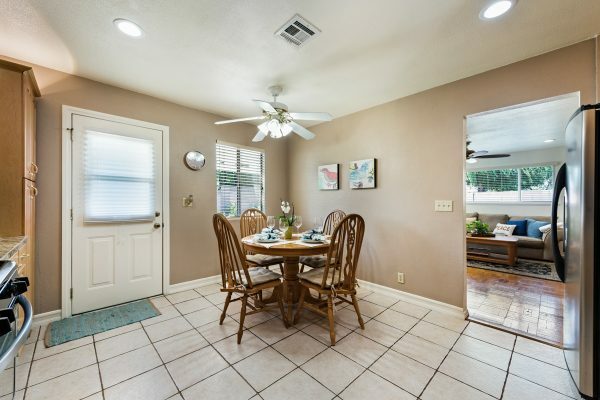 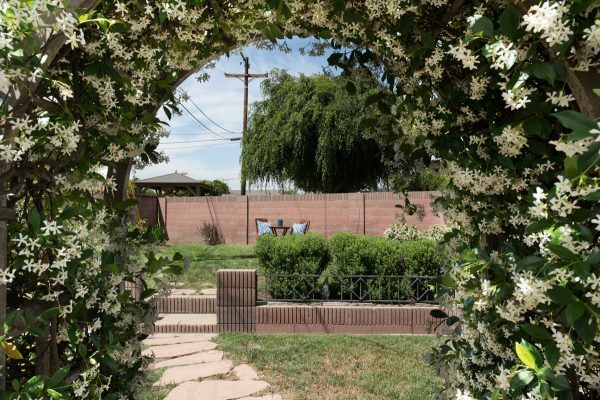 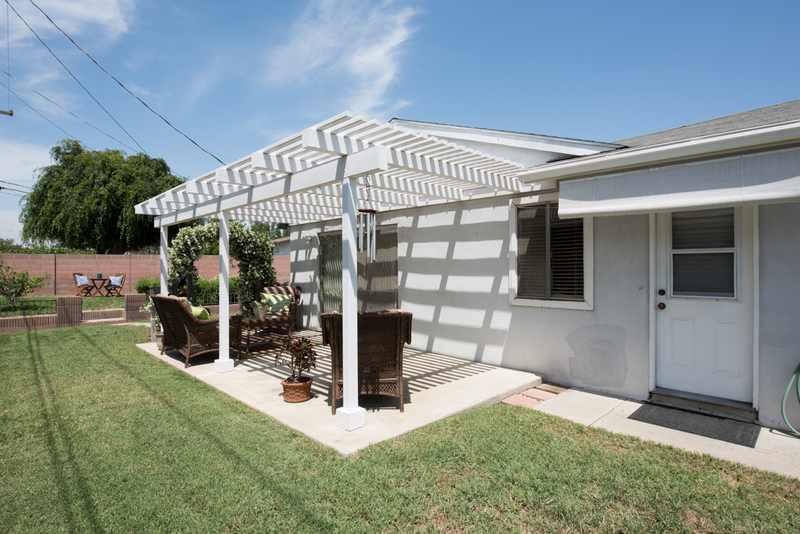 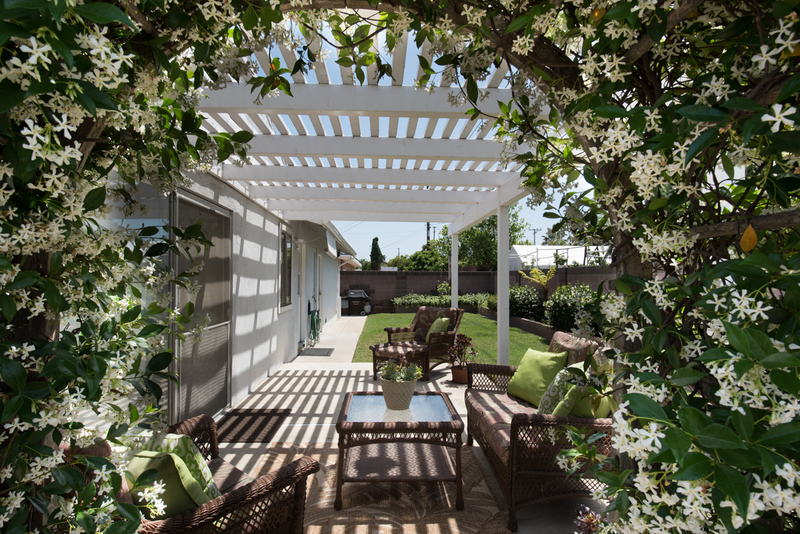 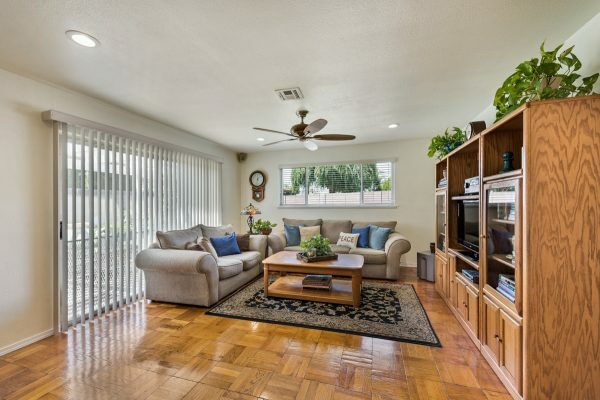 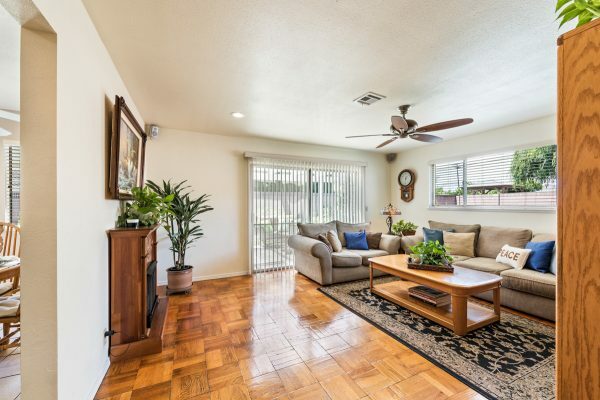 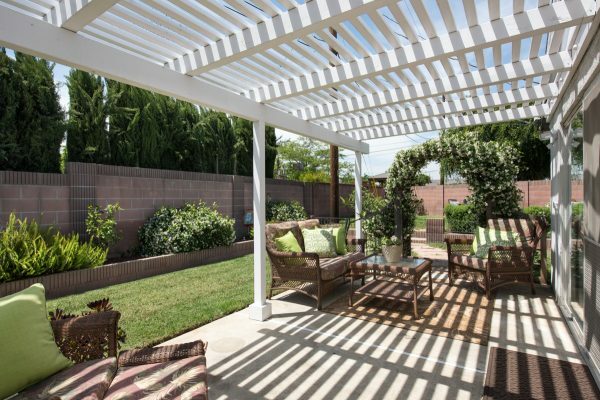 The well maintained patio has a Jasmine filled arbor that provides a gateway to the expansive yard. 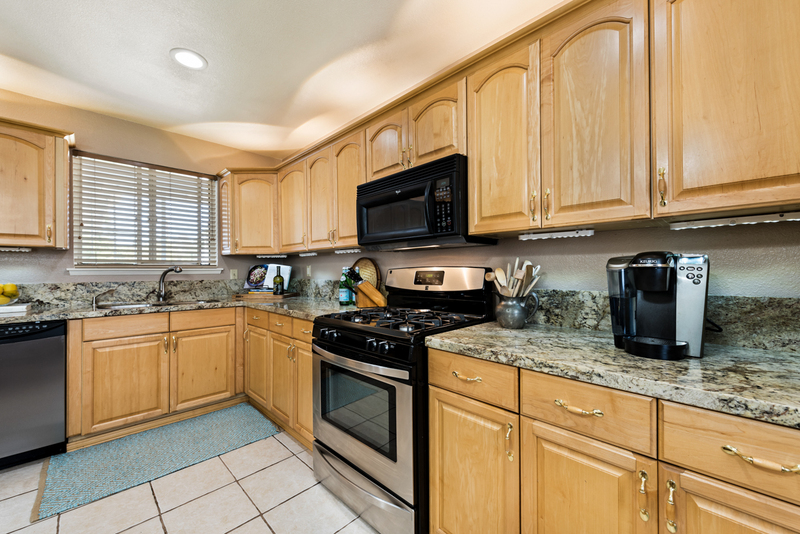 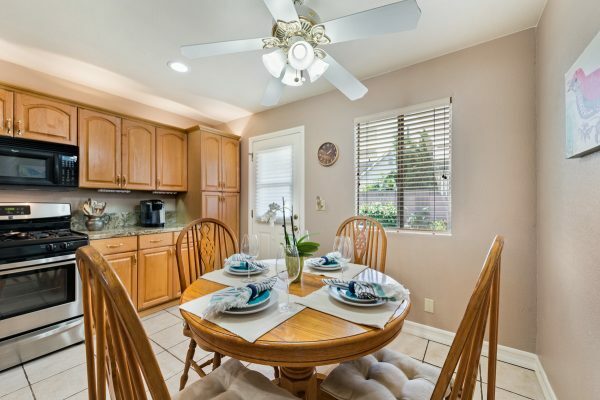 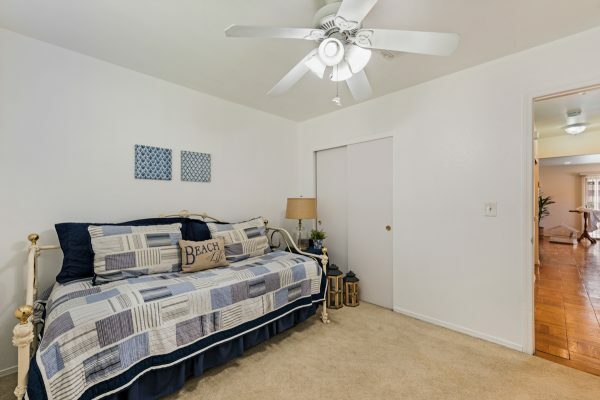 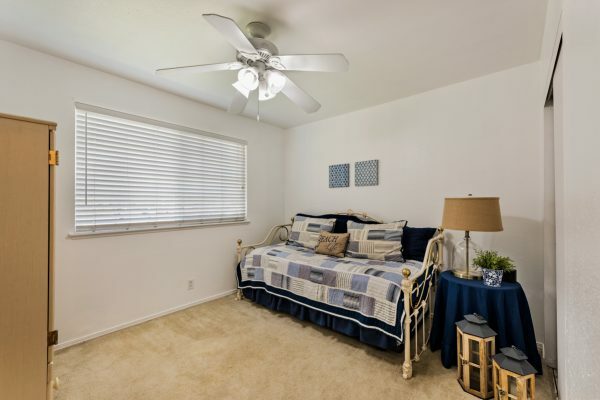 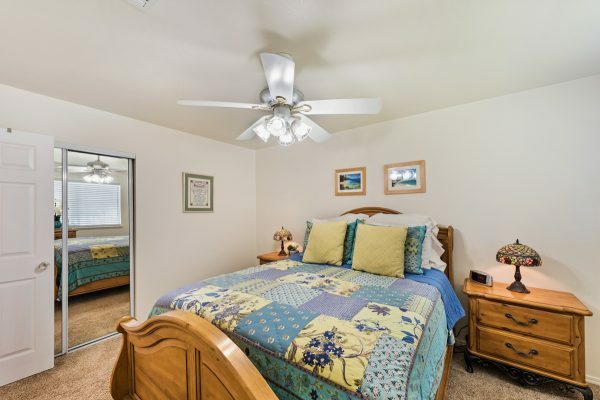 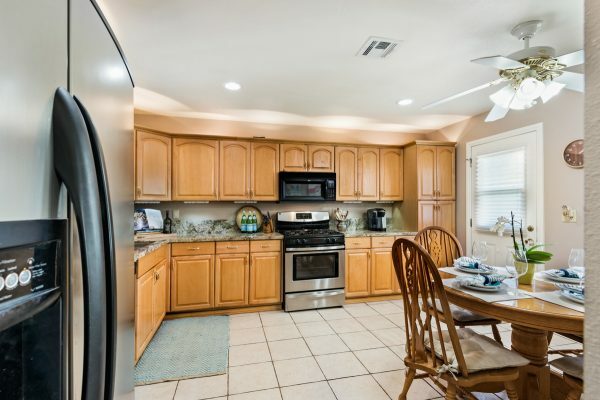 The interior is immaculately kept with: Remolded kitchen (including granite counters, LED recessed lighting and stainless steel appliances), fresh paint, updated bathrooms, ceiling fans, mirrored wardrobe doors, parquet hardwood flooring and central heat and air conditioning. 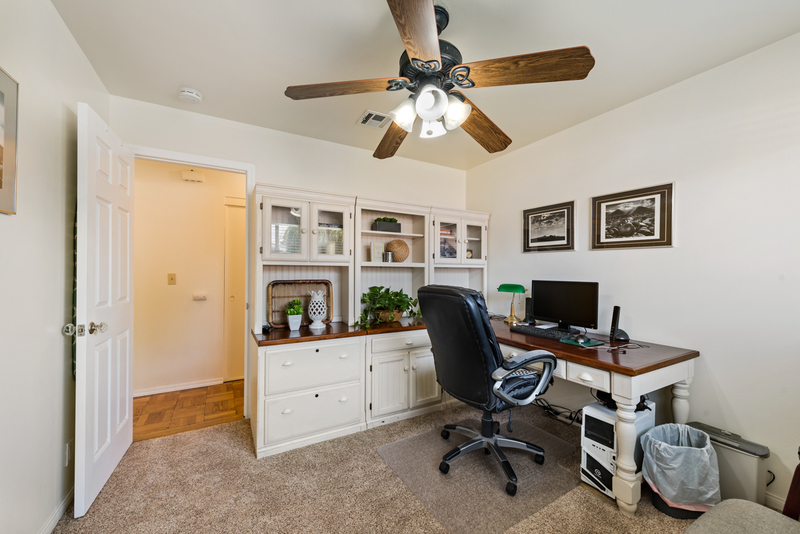 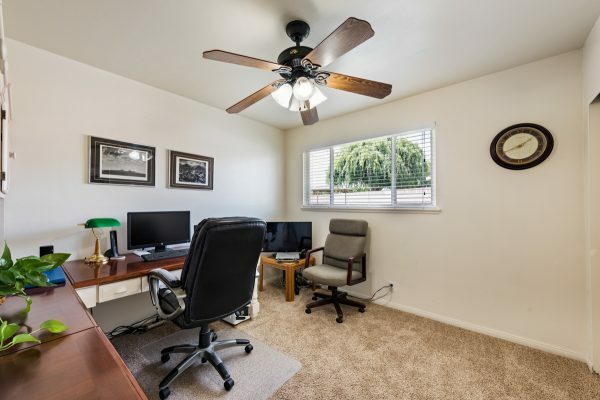 The location offers easy access to: Freeways, the train station, Fullerton airport, Downtown Fullerton. 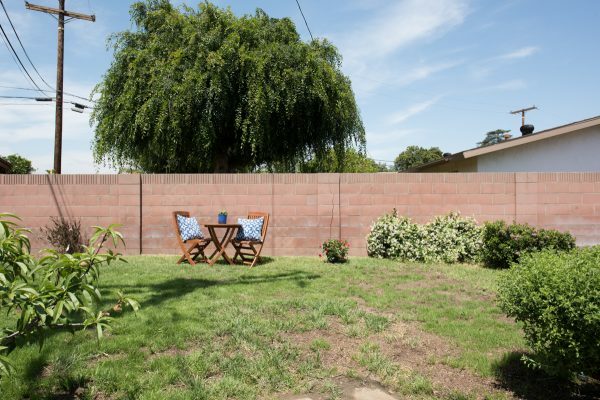 It’s time to enjoy the “good life” on Thompson Ave.